Line size: We can determine the correct line size or simply provide a quotation to suit your application. All quotations will provide a line size being proposed. Air velocity: Specific blower curves, either pressure or vacuum, will be provided and the corresponding air velocity for the specific pump. Pressure / Vacuum: The pumps maximum psi (pressure) or hg” (vacuum) will be detailed. Fabricated base: We design our blower packages with heavy duty tubular or angle iron material of construction. High efficiency super-e electric motors: Our standard blower packages are designed with Baldor which offers the highest level of overall efficiencies available from any motor manufacturer. 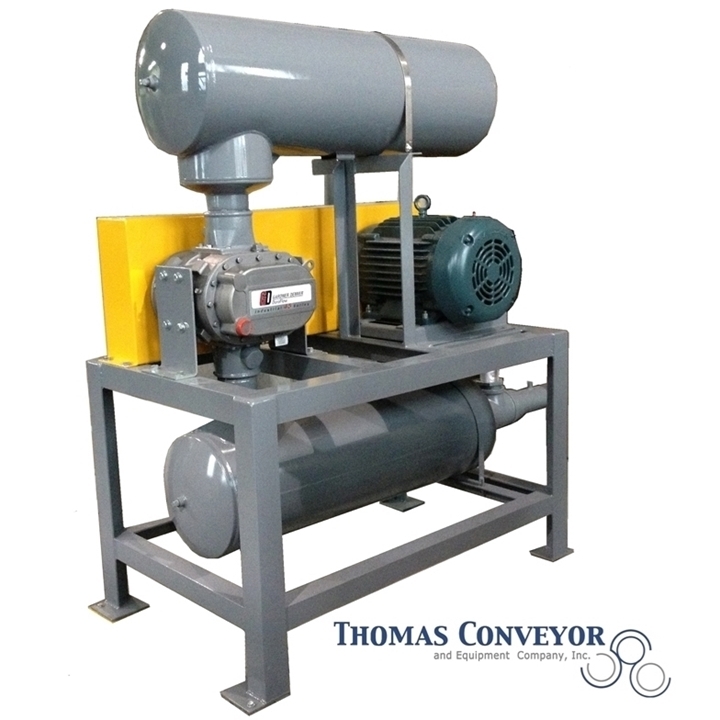 Motor slide bases: V belts driven blowers are easily maintained with our motor slide bases. Inlet / outlet discharge silencers: We have standardized on universal brand sound attenuation noise silencers, premium grade. Pressure / vacuum relief valves: We offer both spring loaded and weight loaded pressure or vacuum relief valves, factory preset and sized to exceed maximum flow rates of your package. Inlet / inline filter assemblies: Our packages are fabricated with Solberg Mfg. inlet (pressure blowers) and inline (vacuum blowers) for rigid design, maximum air flow and highest quality. Pressure / vacuum gauges: Liquid filled gauges are provided to allow you to determine air pressure at all times. We have standardized on universal brand sound attenuation noise silencers, premium grade.